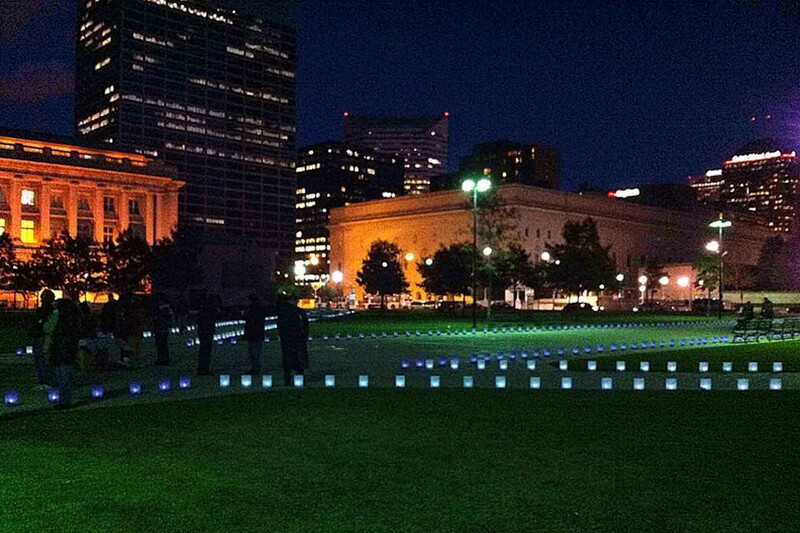 We will continue to add photos to this page in hopes of showing you many of the possible uses for our luminarias. 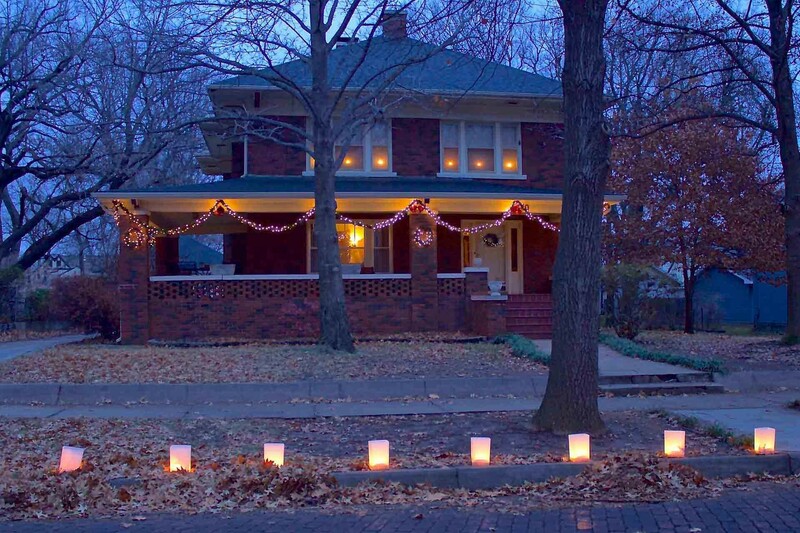 Holiday Luminarias - Christmas luminarias are the most popular use of luminarias. Xmas luminarias can be decorated further to enhance their Christmas feel. Christmas bows and ribbons make a splendid touch. Adding colored lights, like red and green, will help add to the spirit. Some even like to use flicker light bulbs to give a warmer, candle-like feel. Halloween luminarias are also very popular. Orange luminarias are often chosen to represent Halloween. Add decal designs or find other ways to personalize your luminarias and use them with your jack-o-lantern. Patriotic luminarias are becoming a big hit for Independence Day. Decorate around your luminaries with small American flags. Just the touch for July 4th celebrations or any patriotic event, like deployment or "welcome home" parties for active military families. Paddy's Day luminarias are growing in popularity. Our green luminarias provide an easy lighting addition to any St. Patrick's Day party. 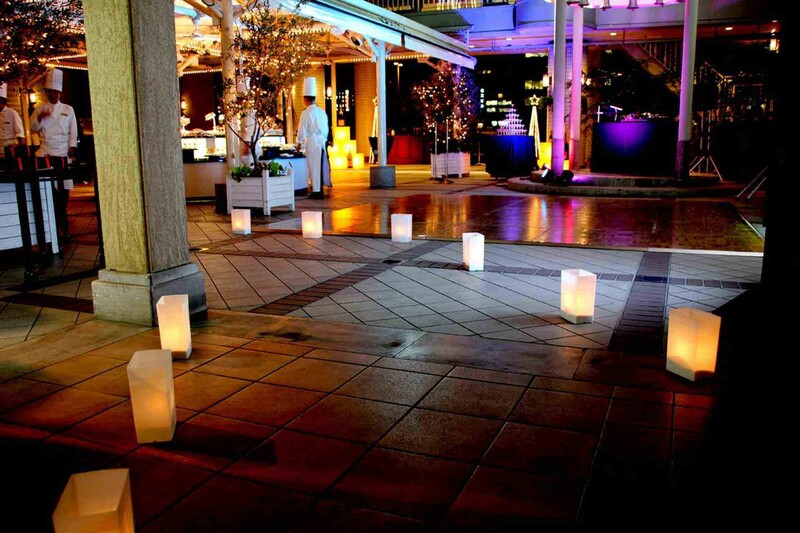 Event Luminarias - Our wedding luminarias have been used around the world for that very special day. Personalize your special event with beautiful bows and ribbons, personalized lettering, garland and flowers from your florist. Birthday luminarias and balloons are the perfect decor combination for any birthday party. 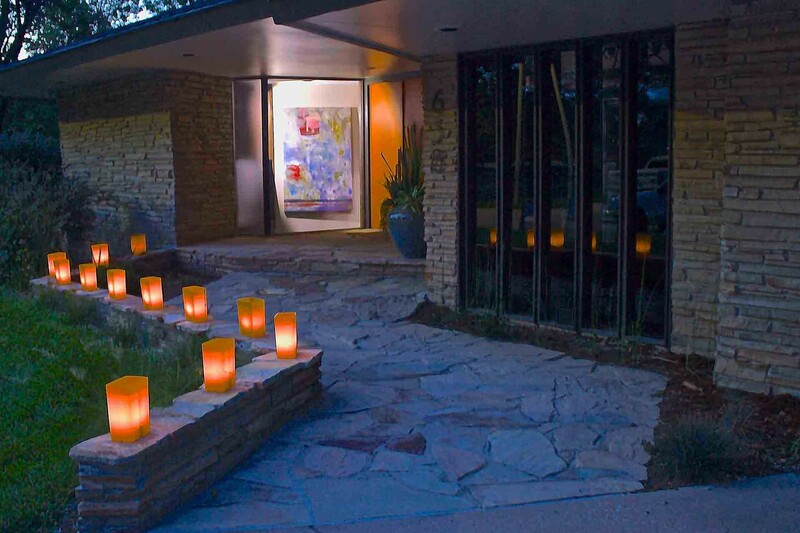 Summer luminarias add beautiful ambient light in your backyard and around your swimming pool. 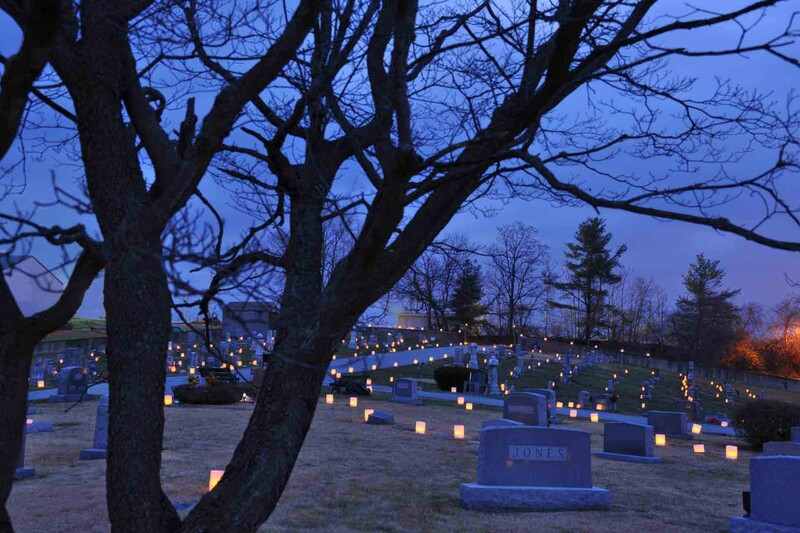 Memorial luminarias offer a classical method to remember our loved ones, both outdoors (for example, gravesites) and indoors, with a single socket light string and used as a night light or for a memorial area in your home. 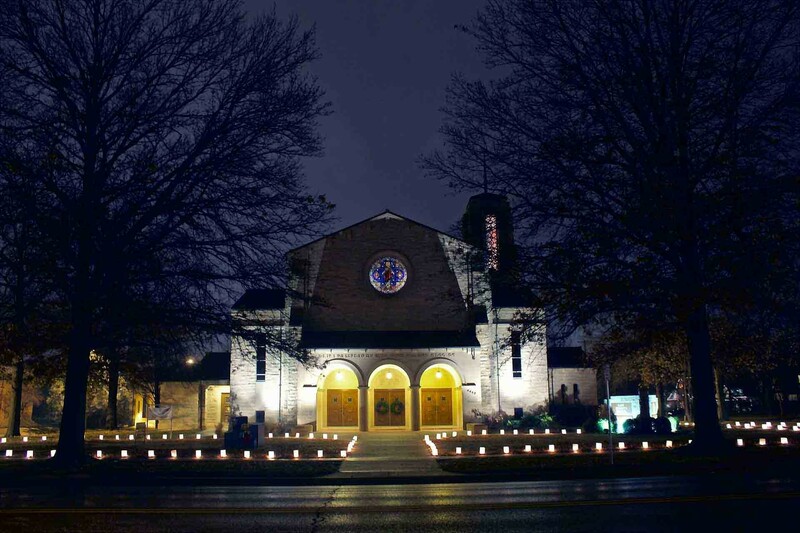 Commercial Luminarias - All types of businesses and organizations use our commercial luminarias today. Many examples include: the American Cancer Society's Relay for Life events held across America, shopping centers, airports, cemetaries, botanical gift shops, event planners, military family groups, auto dealerships, and the list goes on. Fundraising Luminarias - Besides working with the American Cancer Society's Relay for Life events through our Relay Luminaries website, we also focus on schools and other institutions and their need for fundraising. Our fundraising luminaries are the only luminary available today that is specifically designed to offer personalized decorations. Our white luminary bodies are like a blank canvas, and can be decorated with marker pens, stickers can be applied, and anything can be glued to them. With our special fundraising luminary kits, each luminary is sold separately and with it's own single-socket light string, which makes this luminary an indoor decorative lighting. 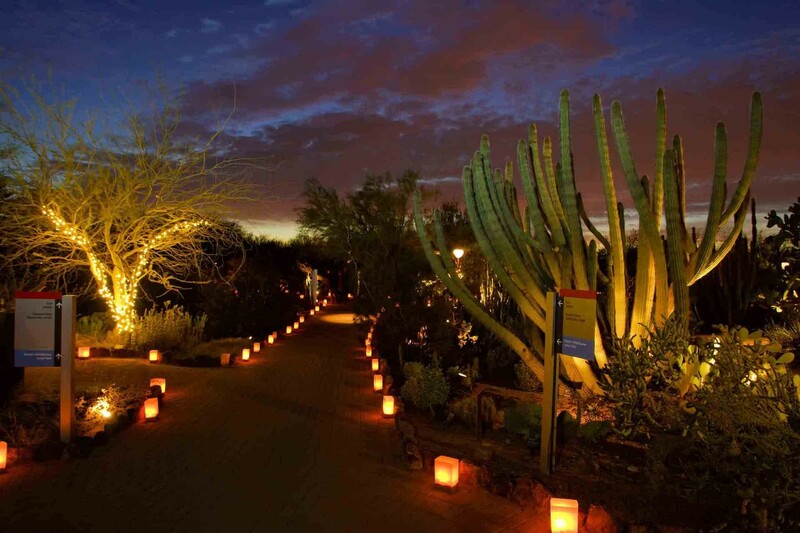 These luminaries are the perfect choice for schools looking for a new, imaginative fundraising project, and the margins are there to make it a very profitable event. We offer special pricing for fundraising groups, and our products are sold "factory direct" to keep our costs as low as possible. This is a project that combines fundraising with creativity for school kids to decorate their light that will be sold either at a set price or at auction later. 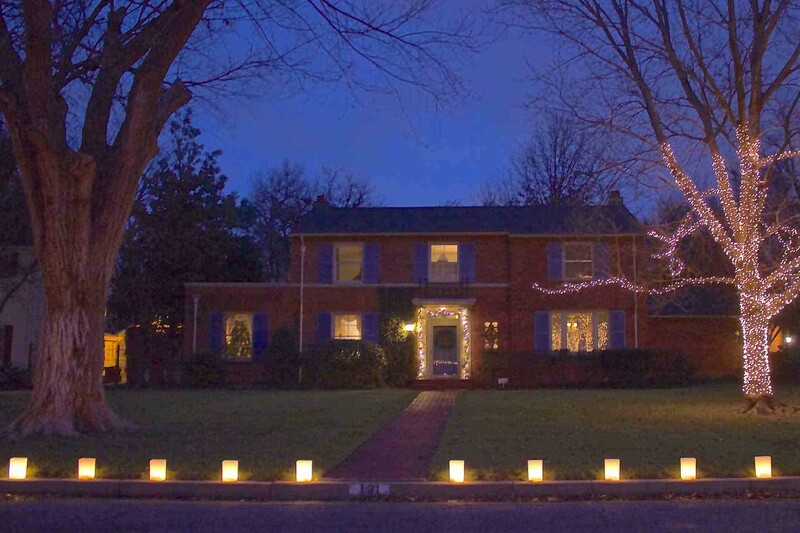 Homeowners Association Luminarias - We offer special discount pricing for Homeowners Associations who organize to buy our luminaries as a group. 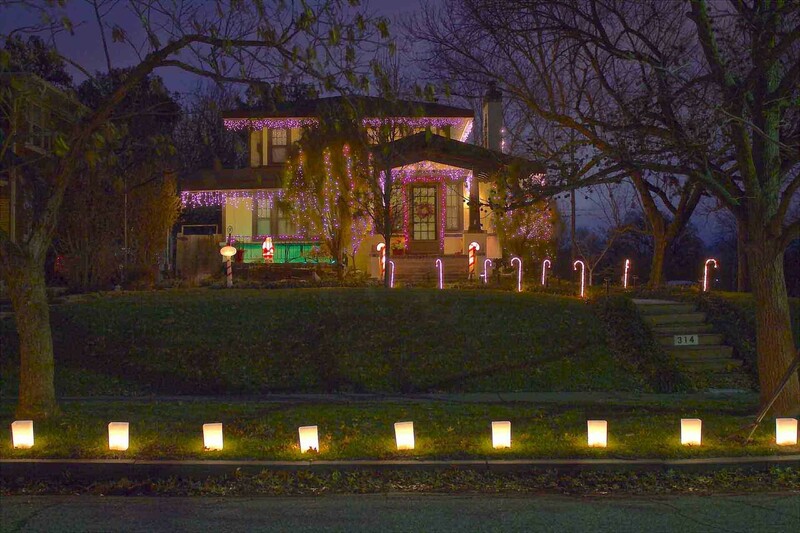 Experiencing entire neighborhoods decorated with our luminaries is a site to be seen! Our luminaries are the only luminary built today that is made to last and carries a 10-year Luminary Warranty. 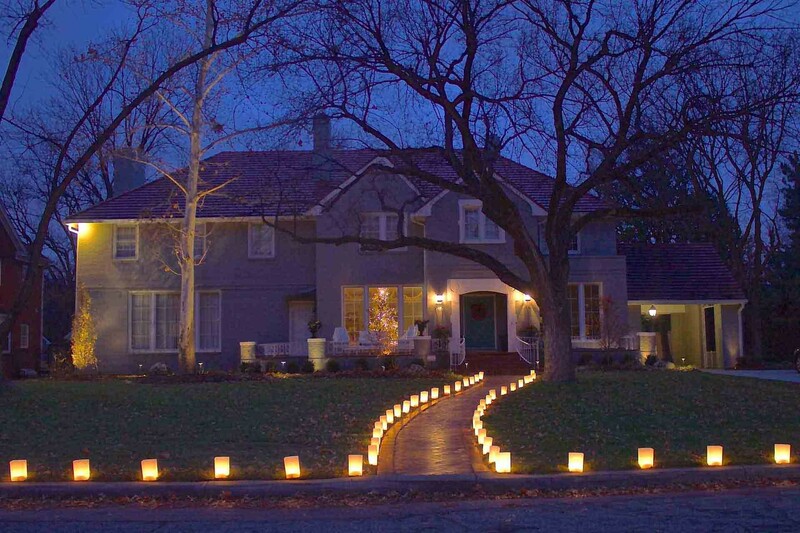 Decorate your neighborhood and feel assured that you will receive many years of use with your luminaries. 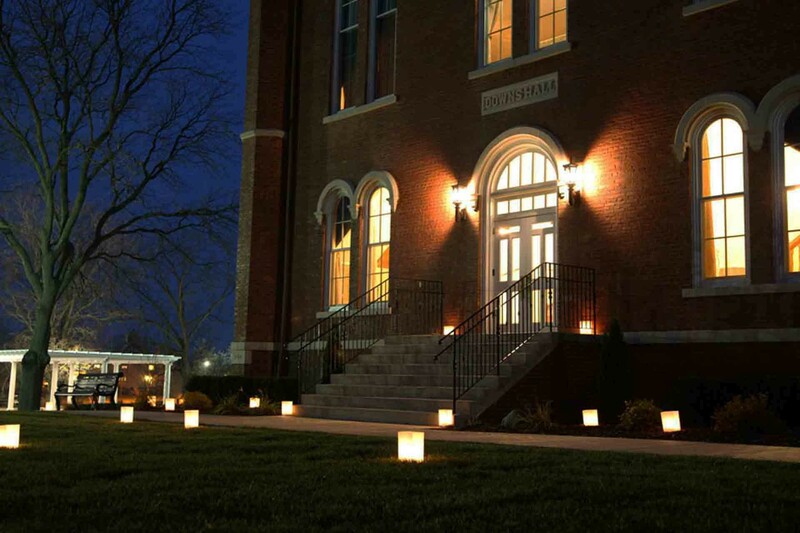 One of the best reasons to use our luminarias is the fact that you can continue to use them for years and years because our luminarias are the best built luminarias available today! 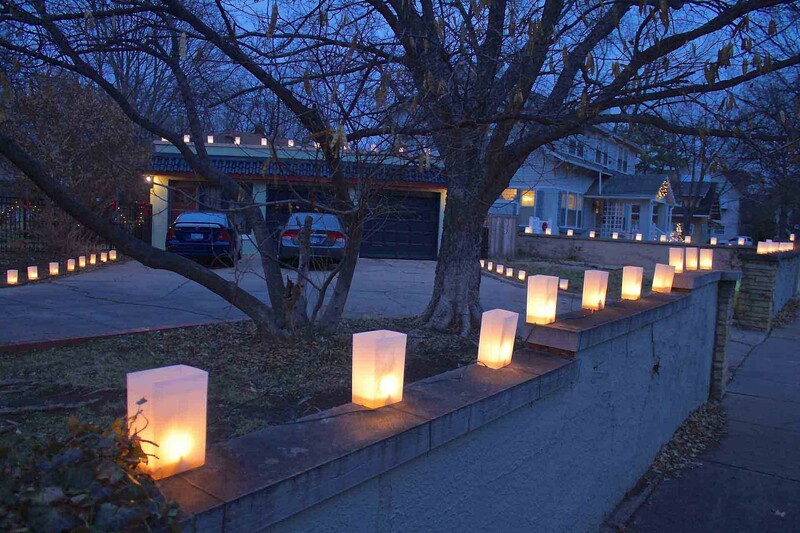 Most of the other luminarias offered for sale are built only for a single use or for a very short period of time. 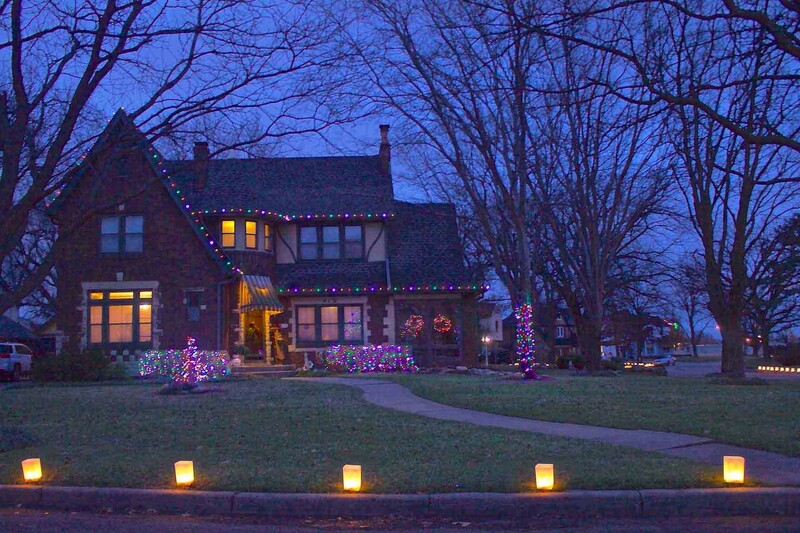 Each of our luminarias is constructed with a 1/2 lb of polyethylene high-grade polymer! 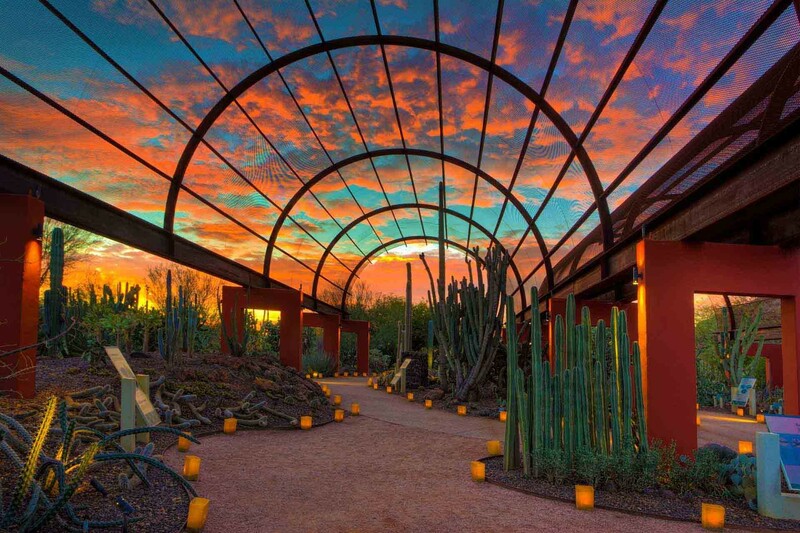 That is why our luminarias are the only choice out there for commercial applications.